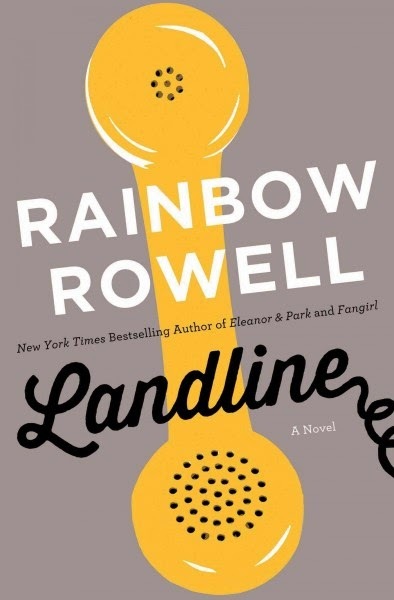 Landline is the latest novel by Rainbow Rowell, and author who has written both adult and YA romance novels. Landline follows the story of TV writer Georgie McCool as she struggles to balance her work life and her home life, while the state of her marriage declines. When she attempts to postpone a family holiday vacation as the result of an emergency at work, her husband, Neal, insists on taking their children home for Christmas anyway without Georgie. During the holiday week, Georgie tries to call Neal at his mother's house--however Neal's habit of never charging his cell phone leads to Georgie resorting to her parent's old rotary land-line phone to call Neal's mother's land-line. What Georgie soon realises is that this land-line connection allows her to call Neal in the past before they were ever married. Georgie now has an opportunity to either fix her marriage before it begins or to end it and see if they would have been better off never being married in the first place. I first discovered Rainbow Rowell's novels when her YA novel Fangirl hit the library shelves and I found myself faced with another author who's novels I wanted to binge read. Unfortunately until July of 2014, there were only 3 novels to binge read--and it's very difficult to binge read slowly when you're a speed reader. So when Landline was published in July, I jumped on it. Immediately I realised that this wasn't going to be like her other books. This one seemed to be darker, and less idealistic that Attachments, Fangirl, or Eleanor & Park had been. Not to say that it crosses the border into Gone Girl territory--not at all. Rather, it paints a picture of the "what happens after the happily-ever-after" that all her other novels end at. While all of her novels have an element of realism and identifiable situations andcharacters (that's what hooked me in with Fangirl, after all), this one takes it a step further and describes a romantic relationship that has already reached the happily ever after stage and now has to deal with the reality of...reality. It made the story of Georgie and Neal much more emotional. 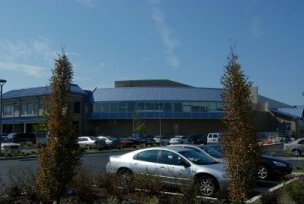 Landline by Rainbow Rowell, as well as her three other novels, are available at the Ocean City Free Public Library.